Compact, dwarf evergreen with a dome-shaped habit. Small rounded green leaves, new growth is glaucous bluish-green. Small trusses of lavender-blue flowers in spring. 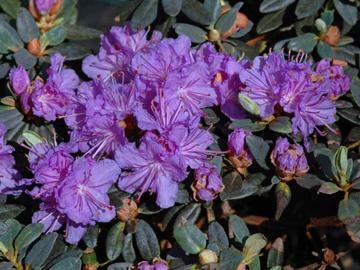 Suitable for rock gardens or shrub borders. Also good in containers.